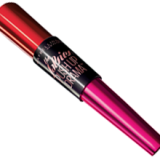 A moisturising and comfortable mattifying liquid lip which allows for sensational long-lasting colour. 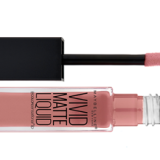 Colour Sensational Vivid Matte Liquid delivers twice as many vivid pigments in comparison to lipstick for the ultimate colour intensity and matte finish. Comes in eight exciting shades. RS Price: 109,95 Availability: Clicks and Dis-Chem, Foschini, Edgars, and selected Pick n Pays. 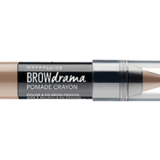 The Brow Drama Pomade Crayon is the latest innovative formula from Maybelline that makes achieving flawlessly sculpted, coloured, filled in brows foolproof. 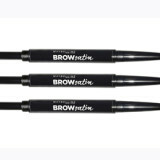 Brush brows into shape then apply the pomade to shape and sculpt the perfect eyebrows. Use soft feathered strokes. RS Price: 129,95 Availability: Clicks and Dis-Chem, Foschini, Edgars, and selected Pick n Pays. 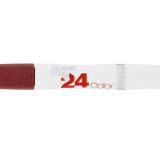 Introducing the world’s first push up brush with patented cup-shaped bristles which scoop lashes up from the roots, coating and lifting them up into a dramatic 45 degrees. For the most glam pushed up effect. RS Price: R149,95 Availability: Clicks and Dis-Chem, Foschini, Edgars, and selected Pick n Pays. 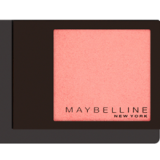 A high density blush that is available in statement shades for cheeks that speak. Start on the apple of the cheek and blend Master Blush towards the highest part of your cheek bone for a natural and healthy glow. 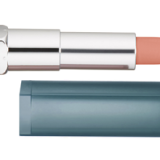 Shades include Coral Fever, Cosmopolitan, Rose Madison, Brown and Peach Pop. RS Price: R109,95 Availability: Clicks and Dis-Chem, Foschini, Edgars, and selected Pick n Pays. Introducing the first Precise Pen + Filling Powder Duo. Set your look with our first-of-its-kind gel pen then fill the gaps with cream powder that blends seamlessly for your fullest, most natural brows. Price: R109.95 Availability: Selected retailers and pharmacies. 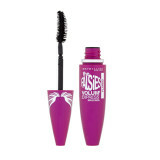 The most colossal lashes in just one coat. 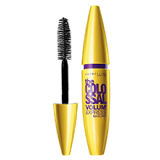 • Lush collagen-enriched plumping formula and Mega Brush instantly build 9X volume, without clumps • Contact lens safe and ophthalmologist-tested • Washable, also available in waterproof formula Price: TBC Availability: Selected retailers and pharmacies.